I've mentioned that Maitiu O'Ceileachair and I have identified the earliest textual occurrence of the Hundred Syllable Vajrasattva Mantra in the Chinese Tripiṭika. Circumstances have meant that Maitiu and I have not been able to write up our notes formally. I know there is considerable interest in this mantra, and the Vajrasattva Mantra continues to be the most popular page on my mantra website. So I thought I would write up some of the basic stuff that we've found, along with transcriptions of the mantra from various Canonical sources. This blog post represents our collaborative effort, but credit for all the observations on the Chinese goes to Maitiu. The earliest occurrence in the Chinese Canon, which is really the only candidate for the earliest literary use of the mantra, since only the Chinese dated their texts, is in T.866, a collection of mantras related to the Sarvatathāgata-tattvasaṃgraha (STTS). T.866 was translated into Chinese by Vajrabodhi (ca 671-741) in 723 CE. Stephen Hodge (2003) says that Vajrabodhi acquired his STTS manuscript circa 700 CE, so it had to have been composed before that date. Two Sanskrit manuscripts of STTS are extant, though both are relatively recent copies. One has been published in facsimile edition (Candra & Snellgrove), and another forms the basis of a critical edition by Yamada (which means that he compares his Sanskrit manuscript with other versions). *see comments. We also looked at two versions in printed editions of the Tibetan Canon (the Peking and Derge editions) and several other Chinese versions from the Taisho Edition of the Tripiṭaka (e.g. T.873, 875, 884, 1224, 1320, 1956), including Amoghavajra's translation into Chinese (T. 873). The mantra occurs in the context of a brief introductory paragraph and is followed by another brief paragraph. Todaro's translation of the Sanskrit. O Vajrasattva honour the agreement! Reveal yourself as the vajra-being! Be fully nourishing for me! Be very pleased for me! Grant me all success and attainment! And in all actions make my mind more lucid! O Blessed One, vajra of all those in that state, don't abandon me! O great agreement-being become real! "The Bhagavat Vajrasattva of all the Tathāgatas said: "Notwithstanding continuous killing, the slander of all the Tathāgatas, the repudiation of the true teaching and even all evil and injury, (by this) the perfection of all the Tathāgata's mudrās from the strengthening of Vajrasattva, in the present life as you desire, and all accomplishments, the supreme accomplishment, the thunderbolt accomplishment or the accomplishment of Vajrasattva, up to the accomplishment of the Tathāgata, will be attained quickly." The reconstructed version of the mantra created on the basis of Sthiramati's work in Jayarava (2010) reflects the extant Sanskrit and Chinese texts of STTS quite well, with only minor differences. It may be that the Tibetans were working from a different source text. The mantra explicitly allows that someone who has done evil, more or less any kind of evil, will not be prevented from making progress. The Chinese version includes the five atekicca or unforgivable actions. (Giebel p.99). This represents that last phase of turning a tenet of Early Buddhism on its head, i.e. that the consequences of actions are inescapable. This role of the mantra--usually referred to as 'purifying karma'--remains central in the narratives surrounding its use in Tibetan Buddhism. The mantra seems much less prominent in Sino-Japanese Tantric Buddhism, and Vajrasattva (Japanese: 金剛薩埵 Kongosatta) plays quite a different role than in Tibet. The text refers to the mantra as hṛdaya, i.e, 'heart mantra' or 'heart essence'. Both extant Sanskrit versions spell sattva with one t, i.e. satva; which may indicate some Middle-Indic influence, although the language of this passage appears to conform to Classical Sanskrit norms. The main difference between this mantra text and the one reconstructed from the Tibetan in Jayarava (2010) is that Yamada has su-toṣyo me bhavānurakto me bhavasu-poṣyo me bhava; where as the Tibetan (and the Chinese texts) transpose the last two phrases: sutoṣyo me bhava, supoṣyo me bhava, anurakto me bhava. Note that bhavānurakto is a coalescence of bhava anurakto forced by Sanskrit sandhi rules (-a a- > -ā-). The Tibetan texts below are transcribed as they appears in the printed text, including punctuation marks, see also note at the end of this section. The lines of woodblock prints are long, and the mantra goes over a couple of long lines in both cases--difficult to reproduce in this medium so I haven't tried. Peking ed. shows signs of being slavishly copied from a woodblock of a different size. The repeated shad | | (not to be confused with a nyis shad || ), for example in the first line 'ya | | ma' indicates that the original line ends with ya | and the new line starts with | ma. The groups of multiple tsheg indicate space filling. We've included the exact number of tsheg as in the printed text (C.f. Beginning and End Markers in Buddhist Texts). Tibetan regularly makes several substitutions: va > ba; ja > dza; ca > tsa. In addition rva > rbba; rma > rmma (Derge). Medial nasals are sometimes replaced by anusvāra, e.g. muñca > muṃtsa. Both have satva for sattva, but so do extant Sanskrit texts. General anomalies in the Tibetan versions of the mantra are discussed in Jayarava (2010). Particularly the break between samayam anupālaya becoming samaya manupālaya from an Indic original that would have written individual syllables with no word breaks: e.g. स म य म नु पा ल य sa ma ya ma nu pā la ya (See also the Chinese Siddhaṃ script preserved in T. 875 below.) This is quite simply an error, and was probably a mistake of reading rather than listening. Both texts incorrectly add a shad in the middle of vajrasattvatvenopatiṣṭha. The words are vajrasattvatvena upatiṣṭha with a sandhi -a u- > -o- (See Jayarava 2010 for more on this). Reconstructing Sanskrit from Chinese is an imprecise art and often relies on knowing what the Sanskrit 'should' say. Chinese transcriptions are not very good at representing visarga and anusvāra can go missing as well (though this might be the Buddhist Hybrid Sanskrit source material rather than the translators). Some translators indicate vowel length and some don't. Generally Amoghavajra is pretty good and many translators followed his conventions. The earliest occurrance is T. 866. Vajrabodhi gives glosses for some parts of the mantra that make it clear that he understands sarvasiddhi to mean 'all the siddhis'. 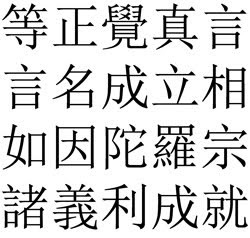 I suspect that the punctuation of this line is incorrect and 含 has been moved from directly behind 悉地 and that these characters should be read together as siddhiṃ or siddhaṃ. It is possible that siddhiṃ is a Middle-Indic form of siddhīn. According to Edgerton (BHSD) when the nasal of -īn is retained the vowel is shortened. Note that the Chinese appears to read vajra sattvasamaya manupālaya rather than vajrasattva samayam anupālaya in line with the Sanskrit mss. If this is correct then the error could have occurred on Indian soil and been transmitted to Tibet and China as it was. A Ritual Manual of the Mental Recitation of the Lotus Section. Written during the Heian Period (794-1185 CE). From the Sanmitsu Collection of the Tō-ji. Be aware that this mantra is corrupted and contains many introduced errors. It is provided for comparison purposes only. These then are principle canonical sources of the Hundred Syllable Vajrasattva Mantra in the Sanskrit, Tibetan and Chinese versions of the Sarvatathāgata-tattvasaṃgraha. Since the Chinese accurately recorded the date of their translations we can be confident that T. 866 is the earliest translated text in the Chinese Tripiṭika to contain this mantra. The differences between the various versions are relatively minor, though they suggest that even at the earliest times this text existed in several versions containing these minor differences, i.e. not all the differences are due to translations or scribal error. All of these canonical versions tend confirm the notion that the mantra was originally written in good Sanskrit rather than the somewhat garbled version in the received Tibetan tradition. The garbling of the mantra forms part of the discussion in Jayarava (2010), as does the tension created by received tradition vs. other forms of authority. However T. 866 suggests that at least some of the errors were present in the Indian tradition already. The fact of the difference between the canonical and received versions of the mantra highlights the conflict of sources of authority in the Buddhist tradition. Though Tantric Buddhism places great emphasis on guru to disciple transmission, which tends to outweigh textual authority; the fact that we now have much greater access to the Tripiṭika and the knowledge that the mantra has been partially garbled are difficult to ignore for Western converts unconsciously inculcated with the valorisation of textual authority. The Vajrasattva mantra was set free from this context in the Tibetan Tantric tradition where it performs an important role in purifying karma that might otherwise impede progress on the Buddhist path. In its self this is a fascinating aspect of the history of ideas in Buddhism. ‘De-bshin-gśegs-pa thams-cad-kyi de-kho-na-ñid bsdusp-pa shes-bya-ba theg-pa chen-poḥi mdo (Sarvatathāgata-tattvasaṃgraha-nāma-mahāyāna Sūtra).’ Derge: The Sde-dge Mtshal-par Bka’-’gyur: A Facsimile Edition of the 18th Century Redaction of Si-tu Chos-kyi-’byuṅ-gnas Prepared under the Direction of H.H the 16th Rgyal-dbaṅ Karma-pa. Delhi: Delhi Karmapae Chodhey Gyalwae Sungrab Partun Khang, 1976-1979. Giebel, R. W. (2001) Two Esoteric Sutras. Numata. Hodge, Stephen. The Māhvairocana-Ambhisaṃbodhi Tantra: With Buddhaguhya's Commentary. London: RoutledgeCurzon, 2003. Tadaro, Dale Allen. An Annotated Translation of the Tattvasamgraha (Part 1) with an Explanation of the Role of the Tattvasamgraha Lineage in the Teachings of Kukai. Doctoral dissertation Columbia University, 1985. Weinberger, Steven Neal. The significance of yoga tantra and the "Compendium of Principles" ("Tattvasamgraha Tantra") within tantric Buddhism in India and Tibet. Ph.D. Dissertation, University of Virginia, 2003. Yamada, Isshi. Sarva-tathāgata-tattva-saṅgraha nāma mahāyāna-sūtra : a critical edition based on a Sanskrit manuscript and Chinese and Tibetan translations. New Delhi : Sharada Rani, 1981 p 95. KŪKAI'S 声字実相義 (Shōji jissō gi)  is one of a trilogy of texts that set out to both answer his critics and to instruct his students. Each of the three texts is rather dense, and fairly esoteric in itself. I have been working through a commentary on this work for a book I am editing which reprints Professor Thomas Kasulis's article: ‘Reference and Symbol in Plato’s Cratylus and Kūkai’s Shōjijissōgi’  alongside translations of the two dialogues and some introductory essays. In his text Kūkai develops a way of interpreting mantra, a hermeneutic, which relies on different syntactical analyses of the combination word: Shō-ji-jissō 'sound, word, reality'. He analyses the Chinese as though it were a Sanskrit compound to demonstrate that we can construe the relationships in various ways, some more profound than others. This is a novel approach, but where does this principle of sound, word, reality come from? They are meaningful and effective. In the verse ‘the perfectly enlightened one’ stands for the Body Mystery of the Dharmakāya and corresponds to reality; “mantras” make up the sounds that constitute the Speech Mystery; while the “syllables” and “names” correspond to word. Note that he does not equate these with the Mind Mystery. So the verse itself demonstrates the principle in action. Kūkai believes that there are hierarchies of being, or layers to reality, and that by paying careful attention to our mundane level of perception that we can get insights into higher levels because not only is each phenomena interpenetrated by all the others, but the levels of being or perception also interpenetrate each other. As in Indra’s net an insight at one level provides access to all levels. To reinforce this Kūkai shows that the principle holds good for the Mahāvairocana Sūtra as a whole, and even for the single syllable ‘a’. The 'power' of a mantra, then, is related to its associative relationships with aspects of experience. This ties into a tradition which goes back to the early days of the Mahāyāna in Gandhāra – in the north-west of what is Pakistan (including the towns of Peshawar and Taxila, and the Swat Valley). There we find, in texts and sculptures, the local alphabet being used a mnemonic. For many years the sequence of alphabet, still not fully explained, lead people to think that it was invented or ‘mystical’. But Professor Richard Salomon, in three published articles, has shown that the alphabet is that of the local language, now called Gāndhārī, though Buddhists often still refer to it as the Arapacana Alphabet or the Wisdom Alphabet. This alphabet was written in the Kharoṣṭhī script which was most likely modelled on the form of Aramaic writing used by the Achaemanid Persian who administered that area for a time. Kharoṣṭhī, like Semitic and Tibetan scripts, has only one vowel sign which is modified by diacritics to indicate different vowels. The unadorned sign is ‘a’. Like other Indic scripts each written syllable has an implicit ‘a’ vowel unless accompanied by diacritics. The mnemonic use of the alphabet seems to be closely associated with meditation practices in prajñāpāramitā texts, particularly the larger 18,000, 25,000, and 100,000 line versions. The first five letter of the Gāndhārī alphabet – a ra pa ca na – came to be associated with the wisdom deity Mañjuśrī (his mantra is oṃ a ra pa ca na dhīḥ) and with the Prajñāpāramitā tradition generally. This tradition pervades the Mahāvairocana Abhisaṃbodhi Tantra. In some Buddhist texts, e.g. the Lalitavistara Sūtra, the original Gāndhārī alphabet is substituted for the Sanskrit alphabet. Curiously the MAT has a kind of hybrid – the consonants are from Sanskrit, but in most cases they are only accompanied by a single vowel as in Kharoṣṭhī. Each letter in the alphabet was made to stand for a word, and each word was the focus of a reflection on śūnyatā. So for example 'a' stands for the Sanskrit word anutpāda ‘non-arisen’. The reflection was akāro mukhaḥ sarvadharmāṇāṃ ādyanutpannatvāt "The syllable 'a' is a door because of the non-arisen-ness of all dharmas." This is pointing to the idea that dharmas, as the objects of the mind, are neither existent nor non-existent - when we have an experience, nothing substantial comes into being. There is no doubt that we have experiences, and objects present themselves to our minds, but the ontological status of the experience itself is indeterminate. The original insight of Buddhism was that mistaking experience for something substantial, and treating it as something which could be held on to was the cause of suffering. Hence reflecting on the contingent, impermanent, and unsatisfactory nature of experience was one of the prime methods of accessing the insights that freed one from suffering. These reflections clearly continue that original Buddhist tradition. In Tantric texts the syllable is not simply a sign for the verbal sound, but has become a fully fledged symbol of the aspect of reality indicated by the word it signifies. This symbolic function is in the foreground in Tantra to the point where merely visualising the written form of a letter is seen as putting one in touch with the quality it represents. This finds its apotheosis in the meditation on the syllable 'a' – where one simply visualises the letter, usually written in the Siddhaṃ script, and by such close association one becomes imbued with the wisdom which sees dharmas – mental phenomena – as the really are. The correspondence between the sound of the letter, the word it reminds us of, and the reality it points to in the example above is seen by Kūkai as a special case of a general principle. But the point is that here we have sound, and word and reality. Although it is not entirely obvious from the translations and commentaries, I believe that this is the idea that underlies Kūkai's analysis of “sound, word, reality”. The sound /a/ stands for the word 'non-arising' (anutpāda), i.e. not coming into being; and this reminds us that 'all dharmas have the primal quality of not having come into being'. That is to say that when we perceive a dharma we do have an experience, but though we have an experience nothing permanent, satisfying or substantial comes into being. In Mahāyāna terms the experience is empty of intrinsic being (svabhāva śūnyatā). Of course finding a correlation is not the same as finding a cause; and finding a precedent is not the same as showing a genetic relationship. However I think this explanation is a plausible account of the origins of the sound, word, reality. There are two complete translations of this text into English: Hakeda, Y. (1972) Major Works, p.234-245; and Giebel, R. (2004) Shingon Texts, p.83-103. The text is also partially translated and discussed in detail Abe, R. (1999) The Weaving of Mantra, (esp p. 278ff.) though his reading is one which relies heavily on contemporary Semiotics jargon, which I struggle to make sense of. Philosophy East and West, 1982. Chinese text from Kumārajīva's translation of the Pañcaviṃśatisāhasrikā Prajñāpāramitā Sūtra (T.223). In the early days of Jayarava's Raves I did a series of rather impressionistic essays on the tantric rites - though I used a set that had connections with the Five Buddha Maṇḍala. For our celebration of Padmasambhava (the great tantric yogi and magician) this weekend at the Cambridge Buddhist Centre there will be a series of talks on the set of four rites, and I will be speaking about the puṣṭīkarman or rite of prosperity. This post will provide some background about these four rites collectively, especially the associated language and some of the history of the rituals. The word being translated as 'rite' is in fact karman, which is literally 'action, work'. However here it signifies a ritual action, hence we translate it as 'rite'. This is the first of several clear links with the Vedic sacrificial ritual. In early tantric texts such as Mahāvairocana Abhisaṃbodhi Tantra the various rites are actually forms of 'homa' (Chinese/Japanese goma) ritual. The word 'homa' means 'the act of making an oblation' and dervies from the root √hu 'sacrifice'. In Vedic ritual this function was carried out by the hotṛ priest . The Buddhist homa ritual involves setting up a sacrificial alter with a fire, and making coloured offerings to the fire. In Vedic times the idea was that the similarity between the microcosm and macrocosm allowed one to be influenced by the other through the ritual (which occupied a kind of intermediate space). In particular fire (agni) transformed the offerings into smoke which then wafted to heaven and induced the deva to respond (this kind of connected thinking underpins tantric sādhana as well). In the homa ritual the correspondence is between the body, speech and mind of the devotee and the Three Mysteries (triguhya) of the Dharmakāya Buddha which also have body, speech and mind aspects: all forms are the body, all sounds the speech, and all mental activity the mind of the Dharmakāya. The ritual conceives of the fire altar as an analogue for both (the altar itself is the body, the hearth is speech, and the fire is the mind), and through the ritual the microcosm of the individual is brought into with the macrocosm of the Dharmakāya. This kind of imagery is also drawing on Vedic models, but Buddhists are always careful to insist that śūnyatā (lack of self-nature) and pratītya-samutpāda (dependent-arising) underpin all their practices - so one is not merging with God, or with a numinous universal principle, but directly realising śūnyatā. Why śudra and destruction? It may be that the impurity of the śudras threatened the makers of the original system; or that the were perceived as barbarous. Rudra, from which raudra ("connected with Rudra", "destruction") derives, is the name of a Vedic god who by this time was associated with Śiva who is also known as 'the destroyer' because his role in the Hindu trinity of gods is to preside over the destruction phase at the end of each time cosmic epoch (Brahmā is the creator, and Viṣṇu the sustainer). Perhaps some of the śudras worshipped Śiva? These rites were absorbed into the Buddhist tradition at the time of the great synthesis and renewal which we call 'Tantra'. Since they appear in the Mahāvairocana Abhisaṃbodhi Tantra we know that they must have been incorporated near the beginning of the process since this text is the earliest systematic tantra, and is thought to have been composed sometime in the 640's CE. In this text each of the rites consists of a pūjā which involves a series of preparatory practices in which one visualises oneself as a Buddha, the creation of maṇḍala with a fire place in the middle, an invocation to the deva Agni, and then the offering of appropriated coloured offerings accompanied by mantras. Some time much later the various functions were incorporated into mantras of White Tārā and I have written about some of these on my other website: visiblemantra.org - White Tārā. See especially the section: Other forms of the mantra. As I say there is a living tradition, dating back to the mid 7th century, of performing these rites in a bona fide spiritual context in both Tibetan and Japanese vajrayāna circles - and while the Tārā Tantra may be muddled the Mahāvairocana Abhisaṃbodhi Tantra does not appear to be. Magic they may be, but the vulgar tag doesn't apply generally, and Snellgrove appears to have overstated his case. Later the rituals were adapted to better fit the Five Buddha Maṇḍala with colours matching them: white, blue, yellow, red, and green with a surrounding aura of a special colour known in Tibet as chenka (it is said to be indescribable, but something like amethyst). The function of the rites are then modified to better fit the functions of the five Buddhas. Subjugation for instance, becomes more like 'fascination' to fit with Amitābha's pratyavekṣana-jñāna or wisdom of discrimination, and his compassion. The rite of destruction is no longer for killing people, but for overcoming hindrances to practice and so on. It was this more wholesome set that I wrote about in my original essays on the rites. The tantric rites are a good example of the eclecticism of tantra and of Indian religion generally. I've commented on this before, but it is worth saying again that in the Indian context this is far from unusual: in fact it is the norm. It is only from the point of view of strict monotheism that such borrowings look odd. This is not quite the same thing as saying all religions are the same, or that one can put together any religious elements and have a viable spiritual path. However it does mean that practices from another faith might be employed in Buddhism, although there is usually a thorough re-contextualisation of any new material, and at the same time religion (including monotheism) can be and often is subverted for mundane and vulgar purposes. My earlier essays on the rites: white, blue, yellow, red, green. Another good source of info relevant to the Triratna Order's approach to the Tantric rites is Subhuti's talks on Kalyana Mitrata, published by Padmaloka and still on sale for £4.50. Unfortunately when these talks were republished as Buddhism and Friendship, the Tantric Rites sections were omitted. The Tibetan equivalents are: śāntikarma: zhi-ba’i ‘phrin-las; puṣṭikarma: rgyas-pa’i phrin-las; vaiṣyakarma: dbang gi phrin-las; raudrakarma: drag-po’i phrin-las. The hotṛ was one of four types of priest: three each associated with the three vedas, and a fourth, the brāhmaṇa, who was an overseer and put right any errors. The word hotṛ is the root hu with the -tṛ suffix making it an agent noun, and so means 'the sacrificer'. The Gobhila-Gṛhyasūtra for instance mentions the puṣṭikarma. It is also found in the Kausikapaddhati which is an 11th century commentary on the Atharvaveda. The śāntikarma is mentioned in the Āśvalāyana-Gr̥hyasūtra. There are several mentions in the Mahābharata. I use class to translation varṇa even though many scholars use caste. This is because caste more properly relates to jāti (the word is the same in historic Sanskrit, and in present day North Indian languages). While there are only four varṇa, there are now thousands of jāti. The division of society in terms of jāti was well in place by the time tantra began to develop. Indeed later tantra specifically negates Brahmanical class purity boundaries by contact with and ingesting of ritual impure substances. In fact some of the rituals described in the Suvarṇabhāsottama (Golden Light) Sūtra resemble Hindu rituals to some extent as well, which indicates that some intermixing may have occurred earlier without necessarily implying that Tantric Buddhism predates the 7th century. I recall reading about this somewhere but now that I come to reference it, I cannot find a single source. So either I made it up, or my recollection of the spelling is hopelessly out. Image: a Shingon monk performing the homa ritual. In this post I'll offer a brief commentary on the Vajrasattva mantra, drawing on an article which appeared in our WBO Order Journal in 1990. In his article Dharmacārin and Sanskritist Sthiramati (aka Dr Andrew Skilton - translator of the Bodhicaryāvatāra ) addressed the issue of how to spell and interpret this mantra. Although his study was not exhaustive he was able to consult more than a dozen sources in English, Sanskrit and Tibetan and to produce an edited version of the mantra which now graces the FWBO Puja Book . However Sthiramati's notes are not widely available (I know of only two extant copies of the issue) and so I have extracted them here along with my own glosses. Sthiramati's differs in some respects from traditional Tibetan interpretations but does so in ways that help to make sense of the Sanskrit - for instance in several cases he suggests breaking a sandhi  one syllable along in order to create a straightforward Sanskrit sentence that was otherwise obscured. There are a huge variety of transliterations, translations, and interpretations of this mantra. There's no one right way to understand a mantra, and I do not mean to down play the importance of traditional interpretations, but I do understand the mantra on my terms. The first thing to notice is that the mantra is in Sanskrit, and unlike most mantras contains mostly well formed grammatical sentences. This is very unusual in mantras! Each phrase has a verb in the second-person singular imperative mood (2.p.s imp). The imperative is used to express moderate to strong desires, injunctions and orders indicated in English by the exclamation mark - ! - 'let him! ', 'you must! ', 'you might!' I interpret the overall mood of the mantra as being fervent devotion. The name Vajrasattva was likely modelled on the word bodhisattva. The vajra or thunderbolt was the weapon of the Vedic god Indra who, like the Greek Zeus, hurled them at his enemies. The word is not unknown in early Buddhist texts (in Pāli it is vajira) but in Tantra it is very prominent. By this time it also means 'diamond', and metaphorically it means 'reality'. Sattva is an abstract noun from sat 'true' or 'real' - literally 'truth' or 'reality'. In usage sattva is close in meaning to our word 'being' as in: 'a state of being', or 'a being'. Vajrasattva - the thunderbolt-being - is an embodiment of the true nature of experience. In Buddhist mantras oṃ is there chiefly to signal that this is a mantra, or that the mantra starts here. Lama Govinda's eloquent speculations aside, the Buddhist oṃ does not seem to have the kind of esoteric significance it does in the Hindu traditions. Note it is oṃ not auṃ, and in the original sources for Buddhist mantras we never find auṃ ॐ. Taking the mantra one line at a time we find an ambiguity in the first line because of a sandhi phenomena. The line is conventionally written vajrasattvasamayamanupālaya leaving us to figure out the word breaks from our knowledge of Sanskrit grammar. 'Vajrasattva' is most likely to be a vocative singular, 'O Vajrasattva', so the mantra is addressed to Vajrasattva. The phrase samayamanupālaya could be either samaya manupālaya or samayam anupālaya. Both are commonly seen and the former is a traditional Tibetan approach. Taking it to be samaya manupālaya creates some difficulties however. Manupālaya is interpreted as meaning 'a defender (pāla) of men (manu)' however pālaya is not proper word - at best it could be meant as a (commonly encountered in mantra) faux dative (pāla+ya), but even this is not much help. Manu might be man (singular) but when used this way seems to usually refer to the original progenitor - an equivalent to Adam. Manu more usually relates to the mind (cf. mati, manas). Whereas samayam anupālaya is a natural Sanskrit sentence with samayam (in the accusative case) being the object of the verb anupālaya (the subject being Vajrasattva). Anu+√pāl means 'preserve' and anupālaya is the 2.p.s imp. Samaya means 'coming together' or 'meeting', and is used in the sense of 'coming to an agreement'. In Tantric Buddhism it specifically refers to agreements the practitioner takes on when initiated. These agreements are sometimes referred to as a 'vow' or 'pledge', but a vow is something one takes on oneself whereas Vajrasattva is also bound by the agreement, so vow is not such a good translation. To preserve an agreement is to honour it, so vajrasattva samayam anupālaya means 'O Vajrasattva honour the agreement' . Vajrasattvatvenopatiṣṭha is again two words: vajrasattvatvena upatiṣṭḥa (a followed by u coalesces to o). Vajrasattvatvena is the instrumental singular of the abstract noun formed from the name Vajrasattva. Vajrasattva-tva could be rendered as 'vajrasattva-ness', the quality of being a vajra-being. The instrumental case indicates how the action of a verb is carried out. The Verb here is upatiṣṭha from upa+√sthā 'to stand near, to be present, to approach, to support, to worship; to reveal one's self or appear'. Though it is acceptable Sanskrit, getting a passable English sentence from this is difficult: literally Vajrasattvatvenopatiṣṭha is something like 'remain/approach/manifest by means of your vajra-being-ness'. Sthiramati suggests "As Vajrasattva reveal thyself!" Fortunately things get simpler for a bit as we meet a series of phrases with the verb bhava which is the 2nd person singular imperative of √bhū 'to be'. They also contain the particle me which in this case is the abbreviated form of the 1st person pronoun in the dative 'for me'. The form then is 'be X for me'. First we have be dṛḍhaḥ 'firm, steady, strong'. The sandhi rule is that an ending with aḥ changes to o when followed by bha: so dṛḍhaḥ > dṛḍho. Dṛḍho me bhava means "be steadfast for me". Sutoṣyaḥ is a compound of the prefix su- meaning 'well, good, complete' and toṣya is a secondary nominal derivative (taddhita) from √tuṣ meaning 'satisfaction, contentment, pleasure, joy'. Sutoṣya me bhava is therefore 'be my complete contentment'. Supoṣyaḥ is again su- but combined with poṣya, also a taddhita from √puṣ 'to thrive, to prosper, nourish, foster'. Sutoṣyo me bhava is then 'be my complete nourishment'. Sthiramati suggests "Deeply nourish me". Anuraktaḥ is anu + rakta. Rakta is a past-participle from √rañj and the dictionary gives "fond of, attached, pleased" (note it is not from √rakṣ 'to protect'). In his seminar on the mantra Sangharakshita suggests 'passionate' and this seems to fit better with √rañj which literally means 'to glow red, or to redden' (from which we also get the Sanskrit word rāga). We can translate anurakto me bhava as 'be passionate for me', or as Sthiramati suggests 'love me passionately'. Now comes sarvasiddhiṃ me prayaccha. Prayaccha is a verb from the base √yam 'to reach' and means 'to grant'. (√yam forms a stem yaccha; and pra + yaccha > prayaccha - which is also the 2nd person singular imperative.). Sarva is a pronoun meaning 'all, every, universal' and siddhi is a complex term which can mean 'magical powers, perfection, success, attainment'. So sarvasiddhiṃ me prayaccha must mean 'grant me all success' or ' give me success in all things'. (Note that sarvasiddhiṃ is an accusative singular so it can't mean 'all the siddhis' in the plural). The next line is somewhat longer and more complex: sarvakarmasu ca me cittaṃ śreyaḥ kuru. Sarvakarmasu is a locative plural. Sarva we saw previously and karma means action - so this word means 'in all actions'. Ca is the connector 'and' meaning we take it with the previous line. [so far we have 'and in all actions'] Me here is a genitive 'my'. Cittaṃ 'mind' is in the accusative case so is the object of the verb kuru which is the 2nd person singular imperative of √kṛ 'to do, to make'. Śreyah is from śrī which has a hug range of connotations: 'light, lustre, radiance; prosperity, welfare, good fortune, success, auspiciousness; high rank, royalty'. I think 'lucid' would do nicely here. Śreyaḥ is the comparative so it means 'more lucid'. Putting all this together find that sarvakarmasu ca me cittaṃ śreyaḥ kuru hūṃ means 'and in all actions make my mind more lucid'. Sthiramati notes that most Tibetan traditions seem to take this as sarva karma suca me 'purify all my karma'. Their interpretation is important since it explains the connection with the idea of the mantra's purifying effects. However they appear to be relating suca with the Sanskrit verb śocati (from √śuc) 'shine, clean' and this cannot be correct. In Sthiramati’s version (and most others) hūṃ is tagged on to this line, however I'm inclined to separate it out and leave it as a standalone statement (note that the three syllables oṃ āḥ hūṃ are used in the mantra, though not in that order). In any case hūṃ is untranslatable. Kūkai sees it as representing all teaching, all practices and all attainments, so perhaps we could see this as Vajrasattva’s contribution to the conversation? ha ha ha ha hoḥ won't detain us long since it is untranslatable and generally understood to be laughter. Sometimes said to be one syllable for each of the Five Jinas. Is this Vajrasattva's laughter; or is it our response to his hūṃ? The Hundredth syllable is āḥ. In Classical Sanskrit āḥ is an exclamation of either joy or indignation – similar to the way we might use the same sound in English. Hūṃ and phaṭ are traditionally added under specific circumstances - hūṃ when the mantra is recited for the benefit of someone dead, and the phaṭ when the mantra is recited to subdue demons. In the WBO/FWBO they are routinely included. For written versions of the Vajrasattva mantra in various scripts see: visiblemantra.org. I could say quite a lot more about the variations that Sthiramati encountered, so please feel free to raise issues in the comments. I'll be work-shopping this material and leading chanting at the Cambridge Buddhist Centre on 12th Dec 2009. Book online at the CBC Website. Note that Sthiramati found a great deal of variation even within Tibetan and Sanskrit sources for the spelling of the mantra. Sandhi literally means 'junction', but here it is a technical term for how spelling of words changes because of their proximity to each other. English instances of this are the change from 'a bear', to 'an apple' (a > an before a vowel sound); and the creations of plurals with -s compare the final sound and spelling in the words: weeks, bears, fishes (In Sanskrit all of these changes are notated and 'bears' would be spelt bearz, and fishes as fishez). Foundations of Tibetan Mysticism is a popular book but in his explanations of mantra generally and of oṃ in particular Lama Govinda cites only Hindu texts (see for instance pg. 21ff) - which I have always found puzzling. He is viewed with some suspicion by some: see for instance Donald Lopez's many comments in Prisoners of Shangri-La. See my discussion of the term tathāgata and the way -gata functions in compounds of this sort in Philological Odds and Ends I.
Govinda. Foundations of Tibetan Mysticism. Rider, 1959. Lopez, Donald S. Prisoners of Shangri-La : Tibetan Buddhism and the West. University of Chicago Press, 1998. Puja: The FWBO Book of Buddhist Devotional Texts . (7th ed.) Windhorse Publications, 2008. Sangharakshita. Vajrasattva Mantra. Free Buddhist Audio. 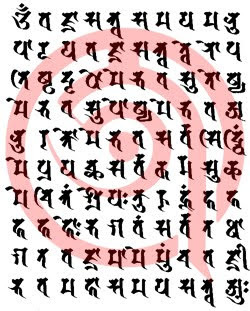 (Note that Sangharakshita is commenting on the Tibetan version of the mantra as he received it from his Tibetan guru, and differ on a number of points). Sthiramati (aka Andrew skilton). 'The Vajrasattva Mantra : notes on a corrected Sanskrit text'. Order Journal. vol.3 Nov. 1990. Vajrasattva Mantra. Visible Mantra. 2009. Vajrasattva Mantra of 100 Syllables. Wildmind Online Meditation. The STTS is a relatively early text (ca. late 7th - early 8th century) and is considered by the Tibetans to be a Yoga Tantra. The version I found it in is a facsimile edition of a Nepalese manuscript produced by Lokesh Chandra and David Snellgrove. This makes the case for an 'original' Sanskrit version of the mantra much stronger. Online at the Digital Sanskrit Buddhist Canon. Updated 26 Jan 2014 on the basis of comments below. Someone recently asked me whether or not it was important to pronounce mantras correctly. I was surprised to find that I hadn't written much on the subject - only some notes on pronunciation on my other website visiblemantra.org. In another essay on that website I distinguish three contexts for mantra use, and I'll use that framework here as well. There are mantras as used in Tantric rituals, mantras used in devotional settings, and informal mantras that people chant outside or any ritual or formal practice situation. Let's start with a little background. Mantras as you may know were central to the ancient Vedic religion. The term mantra is first used for verses made up and declared on the spot in competitions associated with the sacrifices. Over time they were formalised and then collated into the collection known as the Ṛgveda. Although this collection itself was fixed around 1500 BCE the Vedic religion kept developing and mantras underwent changes, especially in the Sāmaveda and the Yajurveda, thought to have been composed during the period around 1200-800 BCE. In the Sāmaveda the mantras were set to tunes, and frequented had syllables called stobha added to fit different meters. In the Yajurveda the mantras were incorporated into instructions for performing the rituals - it was here that oṃ was used for the first time. Brahmins were centred in the area of the Kurukṣetra (the realm of the Kuru's, near modern day Delhi) and did not begin to move east until quite late. In fact they saw the eastern Ganges valley (Johannes Bronkhorst calls this area Greater Magadha) as barbarous. This is probably because up to about the common era the dominant socio-political and religious forms were not Brahminical. In Greater Magadha the religious sphere was dominated by the Śramaṇa groups (the word means 'toilers' ) like the Jains and Ājivakas who had ideas and practices which were very different from the sacrificial religion of the Vedas. However both influenced each other, and it is possible to see that earliest Upaniṣads as showing the assimilation of ideas such as rebirth, karma, and ātman from the Śramaṇas. The Buddha was born in Greater Magadha, and therefore would have been unlikely to have been influenced by Brahmins in his early life. However gradual migration of Brahmins eastward had continued, and they are frequently encountered in the Pāli Canon. Although the Magadhans did speak an Indo-Aryan language, their culture was different. Indeed Brahmins are often the subject of curiosity and fun in the texts, as though they were a novelty. One of the things that Brahmins did was chant mantras at special occasions, for which they expected to be paid. This custom struck the Buddha as unhelpful and he actually banned his monks from doing it - we presume that at least some of his monks were esrtwhile Brahmins. He also forbade two ex-Brahmin bhikkhus from putting the Buddha's words into 'chandos', literally: (poetic) 'meter'. The meaning of this passage is disputed amongst scholars, however from the context I take it to mean that the two monks wanted to turn the Buddha's words into regular verse like the Vedas. And he made it a vinaya offence to do such a thing. So this is our starting point for Buddhist mantras. Many people point out that the early Buddhists did in fact record some texts, called parittas, intended to be chanted for protection from malign influences both mundane (snakes for instance) and supramundane (yakkhas). These are usually said to be a form of mantra, but I do not agree. My reading is that these were spells from an indigenous Magadhan magic tradition - given the subject matters I would say that we could see them as belonging to the various folk traditions which focused on yakkhas and other nature spirits. The use of parittas continues to the present day in Theravadin countries. A small number of the paritta texts have continued to be important in other traditions, although often in modified form, with the most notable additions being tantric style mantras! Sometimes we are fooled into thinking that because the texts that are chanted are themselves profound, such as the Karaniya Mettā Sutta, that parittas had some spiritual significance, but as parittas they are solely for worldly protection. There is some evidence that the Buddha tried to get his monks not to participate in local spiritual beliefs, but the persistence of these practices suggests that he did not entirely succeed. The next development for Buddhist mantra was the dhāraṇi. I have written at more length on the origins, meaning and use of dhāraṇi's here before, so I won't say much now. Dhāraṇi's may well be associated with developments in the Gāndhāra area in the Northwest of India (what is now the Taliban controlled area of Pakistan). Originally a dhāraṇi may have been a memory aid such as the Arapacana acrostic. However the word is mostly used for phrases embedded in sūtras or whole sūtras, again, intended to be chanted for protection. Over time the word seemed to change it's meaning and it is not always clear what is it refers to. Later, in tantric contexts, dhāraṇis were used more like mantras as we know them now. In some Mahāyāna sūtras, the Golden Light for instance, dhāraṇi are used in connection with rituals which seem to have a Hindu flavour, suggesting that they represent the first stage of assimilation of outside elements. One of the things about dhāraṇis and dhāraṇi sūtras is that they tend to focus on one dhāraṇi at a time (although in the Lotus Sūtra there are lists of dhāraṇi spoken by several gods and demons one after another). At some point in this period mantras also came to be used as expressing devotion or faith in a Buddha or Bodhisattva - I'll say more about this below. A seismic shift came after the end of the Gupta Empire. Some time in the 6th century a grand religious synthesis happened that combined elements of Buddhism, the old Vedic religion, the newer Vedantic religion, and aspects of the Śramaṇa and animistic traditions of Magadha. This weaving together of many strands was called appropriately enough "tantra", i.e. woven. Mantras now came into Buddhism in a form that we will recognise qua mantra. In fact mantra took centre stage along side meditation and puja. The mantras were different in form from dhāraṇi or paritta, and seem to owe something to the Yajurvedic tradition. Tantric texts are full of mantras, and for example a mantra accompanies every stage of the tantric ritual - the function being to make the ritual action potent. This idea is already found in the Vedic tradition, so we assume that's where it comes from. So this is a potted history of the introduction of mantras to Buddhism. As I have said there are three main contexts in which we currently use mantras. In the Tantric tradition a mantra exists in a particular context. It is said that the first communication from the Dharmakāya Buddha consisted of mantra, mudra, and mandala (or images) in the context of a ritual anointing that mirrors a royal coronation. These three modes of communication represent the body, speech, and mind aspects of the Dharmakāya and are called the Three Mysteries. When we perform a tantric sadhana we are in theory recapitulating this original communication. It allows us to align our body, speech and mind with the Three Mysteries and become a Buddha "in this very life" as Kūkai used to say. Clearly here is it vital to reproduce everything exactly as it was done originally and in that case pronouncing the mantra correctly would be essential. To pronounce it incorrectly would be to garble the message, to rob it of any significance what-so-ever. In this I see some influence of the Vedic mantra traditions which had a very strong emphasis on accurate pronunciation. The Vedas were an oral tradition for something like 2000 years as the Brahmins eschewed writing well after the Buddha came along. The Vedas were divine and getting them wrong also was thought to rob them of their power to influence the gods. So in this context of sadhana it was originally important to pronounce the Sanskrit accurately. However once Buddhism began to be transmitted outside India there were difficulties. Sanskrit has many sounds which are not found in other languages - true particularly of Central Asia, China, Japan and Tibet where the tantra took hold. It was very difficult for them, as it can be for us, to pronounce Sanskrit accurately. English pronunciation of Sanskrit has problems with retroflex letters, e.g. ṭ ṭh ḍ ḍh ṇ, and with nasalised vowels e.g. aṃ uṃ iṃ etc. And this is leaving aside the issue of regional variations within India! Pronunciation of mantras shifted with time to conform to local norms. So svāhā becomes soha in Tibet, and sowaka in Japan. Most Buddhists are therefore pragmatic about pronunciation. Sometimes you will here a story told of a hermit who was pronouncing his mantra wrong, and a travelling Lama called to see him. The Lama corrects the hermit and goes off on his travels. But as he leaves he hears the hermit calling him, and sees him running across the surface of a lake to ask again about the 'correct' pronunciation. The moral of course being that pronunciation doesn't maketh the saint. Funnily enough Donald Lopez, in Prisoners of Shangrila, has pointed out that this story was in fact told by Tolstoy at the end of the 19th century (read The Three Hermits online). It was a Russian folktale told about three Christian hermits. How did it come to be a Buddhist, and indeed Tibetan, story? My guess is that it was quoted in The Autobiography of a Yogi (p.309) by Paramhansa Yogananda, first published 1946, and from there into Buddhist circles via enthusiastic yogis. This all raises the issue of transmission. Ideally we pronounce the mantra as it was spoken during the first anointing ritual by the Dharmakāya Buddha. Because pronunciation has shifted over time some of the mantras that come down to us are clearly corrupt - the best example to my mind is the Vajrasattva mantra were the Sanskrit has become quite badly mangled in places. So if we know any Sanskrit we will find it creates a cognitive dissonance to hear mangled Sanskrit in a mantra. There are two schools of thought about this. One is that we should pronounce it exactly as taught to us by our teacher - even if it is plainly wrong. The other is that if it's clear what the original Sanskrit was we should use that instead. How you view this will depend on your tradition, and indeed how traditional your teacher is. But consider that if the word padma is pronounced 'pema', then at some point someone got it wrong and what we are transmitting is simply a human error, not the mantra spoken by the Dharmakāya. If it doesn't matter then there are implications for our entire approach to lineage and transmission: they simply cannot be as important as they are made out to be. If it does matter how are we to reconstruct something which has been changing for 1000 years? Is it even possible? The second main context for using mantra is devotional, ranging from large public rituals, down to individuals. The idea for this context came to me while reading Alexander Studholme's book The Origins of Oṃ Maṇi Padme Hūṃ. I have written two précis of relevant parts of the book on this blog - The Origin of oṃ maṇipadme hūṃ and The Meaning of oṃ maṇipadme hūṃ - and so again I won't go into detail. The main thing here is that this practice bears little resemblance to the tantric ritual and is closely associated with practices known as bringing the name (of the Buddha) to mind (nāmānusmṛṭi), and bringing the Buddha to mind (buddhānusmṛṭi). In the former case the root texts are the Sukhāvatīvyūha Sūtras in which it is said that recalling the name of the Buddha Amitābha even once with faith will mean your next rebirth is in the pureland Sukhāvatī from where enlightenment is guaranteed. In the Karaṇḍavyūha Sūtra it says that the mantra oṃ maṇi padme hūṃ is in fact equivalent to chanting the name of Avalokiteśvara and that by chanting the mantra, we are in fact chanting the name, and can expect to be born in a kind of pureland. This kind of practice is really a form of recollecting the Buddha which has roots going back to the earliest days of Buddhism - it appears in the very oldest parts of the Pāli Canon. Later, although before the canon was written down, the practice is formalised and one recollects the special qualities of the Buddha by reciting and reflecting on the words of the Buddhavandana - iti'pi so bhagavā arahaṃ sammāsambuddho vijjācaraṇasampano sugato lokavidū anuttaro purisadammasārathi satthā devamanussānaṃ buddho bhagavā ti. In this context what is important, what makes the practice efficacious is that we recollect the Buddha and call his name. So I conclude that accurate pronunciation is not essential in this context. However I would add that pronouncing someone's name accurately is a good practice. We all know how it jars when someone gets our own name wrong. So I would think that making an effort to pronounce the mantra correctly would be appropriate for anyone really devoted to a Buddha or Bodhisattva. Although the counter argument that such figures are always forgiving is almost always brought out at this point so as to excuse any fault on the part of the practitioner. I'm not convinced that absolution from faults was what was intended. Surely it is still up to us to make as great an effort as we can? Pronunciation is a realtively simple matter that very few people seem to bother with. The last of the three contexts is informal mantra chanting. This means chanting a mantra outside of any formal ritual or devotional context. Perhaps we are seeking to ward off danger, or we just want to keep up our connection with the Buddha. More superstitious Buddhists use mantras this way for all kinds of mundane worldly purposes, just as paritta were used at the beginning. In this context pronunciation is as important as the previous context, i.e. it is not so vital as the tantric ritual, but could still be a worthwhile effort. I would add here that learning how to pronounce Sanskrit is not that hard (follow the link to my rough and comprehensive guides! ), and focussing on pronunciation is an excellent mindfulness practice! 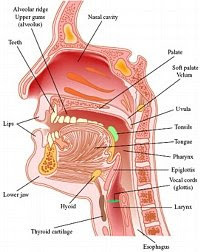 Try really paying attention to what your vocal cords, mouth, tongue and lips are doing when you chant. Sanskrit is a beautiful language when pronounced well. Note also that Pāli has a sonority and rhythm all of its own, quite different to Sanskrit - it is less sibilant and the many double consonants give it a lilt like a Skandanavian language I find. There is one thing left to say in this now over-long post. In the Western Buddhist Order, as you may know, we practice a visualisation meditation that includes chanting a mantra, usually while visualising the letters of the mantra. However we say that this is not a tantric sadhana, because for good reasons Sangharakshita decided not to take tantric Buddhism on it's own terms. There are of course members of our order who have received tantric initiation and practice tantric Buddhism, but the majority of us do not. So where do our practices come in the scheme above? I think it's clear that we are practising a sophisticated form of the recollection of the Buddha in our sadhanas, and that the context is therefore devotional. However the form of the practice also highlights śunyatā - the lack of independent existence (svabhāva) of any phenomena. So do we need to pronounce mantras correctly? I think we should make an effort on aesthetic grounds, it is more beautiful; and also on the basis that we all like our names to be pronounced correctly. I find it is a useful mindfulness practice, and most people need to be more mindful! But outside of the tantric tradition it is not vital, and, sadly, even within that tradition it seems to be many centuries since there was any real effort to maintain Sanskrit pronunciation. At the heart of the practice of mantra is the idea that everything is interconnected. Although the idea is not apparent in early Buddhist teachings it is strongly associated with the Mahāyāna Avataṃsaka Sūtra, and with the Buddhism that centres around it, often known by the Chinese equivalent: Huayen. The Avataṃsaka coalesced in the 3rd century though it is thought to be a composite work that accumulated parts over time. However the idea that everything is interconnected was not new to India at the time, but goes back to the earliest religious text: the Ṛg Veda. In the Vedas the cosmos is divided into three realms: human, god, and intermediate or sky. The earliest gods were personifications of the awesome forces of nature: the sun, storms, and fire... The ancients believed, for instance, that a single principle linked all things which were hot or bright: the sun, fire, digestion, and even the spark of imagination. This particular principle was called Agni - sometimes referred to as the "god" of fire. Even in our technologically advanced times we are still subject to nature (think global warming! ): how much more so were our ancient forebears! They desired control over the sun and the monsoons, and developed a kind of magic technology for doing so. The very early Vedic poets acted as shamans who were directly in contact with the gods and the Vedic hymns are records of their conversations with the gods, or their prayers to them. They became the keepers of the the sacred fire. The Agni was the hermetic messenger and fire was an exchange medium: sacrifices were transformed by the fire into smoke, and this was carried upwards to the gods who could consume it in that form. In return the gods were compelled to respond favourably. The key to effective rituals was the "bandhu" or connection between this world and the god realm. By manipulating the bandhu at this end, changes could be wrought at the other end. The priests were masters of the bandhu, and a great deal of the vast exegetical literature on the Vedas is devoted to listing or explaining bandhu. As with many ancient cultures knowledge at this time was based on resemblance and relationship; our own approach to knowledge relies on difference and isolation. A bandhu worked because something in this world resembled something in the other world. It can be difficult for us moderns to understand this, as we are attuned to seeing differences. To the ancients a metaphor might have seemed far more substantial for instance: they would never have said, as we might, that it's "just a metaphor". They understood the concept of metaphor, but took the relationship to be far more substantial than we do. The late Vedic period saw the internalisation of the rituals, which were then carried out in imagination - thereby inventing meditation. The Buddha was born into this time, and studied for a time with Late Vedic sages, known as śramaṇas. The Buddha explicitly rejected the various forms of Vedic ritual, both external and internal, and substituted his own practices which emphasise a balance of blissful tranquillity and penetrating insight. Although he taught that all experiences arise from causes, he did not make the link between all experiences to explicitly talk about interconnectedness. By the 3rd century some Buddhists were using the kinds of images of interconnectedness that have become familiar - Indra's net of jewels which each reflect all of the others for instance. In the 6th century a great synthesis of religious ideas occurred, partly in response to a breakdown in social and political order as the Gupta Empire was smashed by the Huns. Many of the old Vedic ideas were assimilated into Buddhism and key amongst these was the idea of bandhu. One sees this, for instance, in the Tantric explanation of the Avalokiteśvara mantra. The syllables are not considered as linguistic units, but as representing the six realms of existence, and the six manifestations of the Bodhisattva in those realms, etc. I think that Glucklich has had a penetrating insight in this statement and one that we can relate back to Tantric Buddhism generally. Crucially to my mind he insists that what he calls the magical experience is neither a mystical nor a metaphysical concept. Some work remains to be done to adapt Glucklich's work to the Buddhist context: we need to see it in the light of Buddhist psychology for instance, and the Buddhist view of reality and experience; and we also need to make clear how mantra works in this framework. I am confident that it can be done because at the heart of the matter is interrelatedness. Glucklich, Ariel. The end of magic . 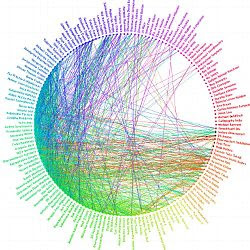 New York, Oxford University Press, 1997.
image: my Facebook "friend wheel"